So what’s this “carat” exactly about? Gold is usually not just gold, but alloyed with a number of other metals. Carat tells you how much of the metal at hand is actually gold. 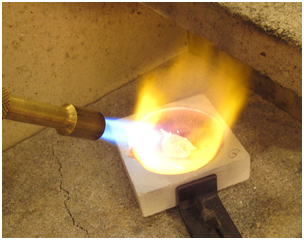 There are several reasons as to why gold is not completely pure. First, it is expensive; to lower the price, the gold is diluted with other metals. Second, pure 24 carat gold is really soft – and must thus be extremely thick to keep its shape. When mixing gold with other metals the gold gets harder (and also harder to work with) than silver. If you own a piece of gold jewelry, take a close look at it. It will have a stamp inside – if not, it is not gold. It is stamped with a number, often 750, 585 or 333. How do you dilute gold to a cheaper and harder metal, while keeping its golden color? Most typically copper and silver is used as alloy metals. Copper adds a warm and red color to the gold – and silver ensures that it does not get too red. Copper is actually quite hard compared to gold and silver and thus the gold gets harder the more copper you add to it. You might have figured out by now that red gold or rosé gold is made by alloying gold with (almost) clean copper. This creates a pretty rose color and is really hard, which has caused a lot of swearing in the workshop, whenever I used red gold for my jewelry. Yet, the end result is quite enchanting and beautiful. When mixing gold and silver it gets a green nuance. I have not been working with “green” gold yet – however, I will do one day, as green is my favorite color. White gold is alloyed with palladium and silver. In the USA, nickel is often used. In Europe this is prohibited because it tends to provoke a bad rash, so keep this in mind if you buy white gold in USA. By the way, white gold is not as fine and light (almost looking like po-lished silver), as you might think. Appearances can be deceptive, as white gold – unless it is a very expensive alloy – almost has the same light gray color as a deer. As such a delicious and luxurious color that goes well with diamonds – however, a lot of people prefer the completely white look. So what to do in order to get the light color? You cover the white gold with a layer of the extremely expensive but also very hard metal rhodium. 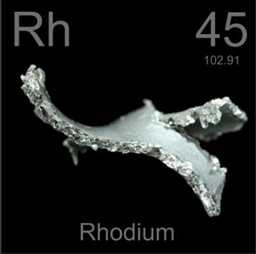 Such a rhodium plating is very durable on necklaces and earrings. However, when it comes to rings, it will eventually be worn off. That is why many who have bought e.g. 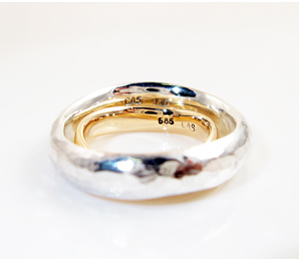 white gold wedding rings will find that they look darker and matte after a couple of years. In order to make your rings look new, take then to your goldsmith and have them rhodium plated once again (I offer this service, and it costs some hundred DKK each time). In Denmark, as in most of the world, gold and other precious metals MUST be stamped. It is simply illegal to sell it without a stamp. This way the industry attempts to avoid fraud. To produce and sell gold, you have to have a name stamp – mine is CAS – and in order to get such a name stamp, you are to be signed up at the FORCE Institute. Friendly representatives from the FORCE Institute regularly and unannounced visit goldsmiths to test if they abide by the rules. If your alloys turn out to contain less gold or silver than you stamp it, it is a very serious matter and in the worst case scenario you might end up in prison. 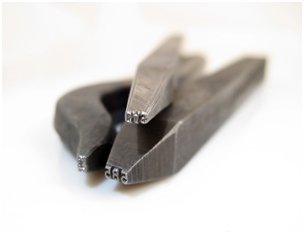 Hence, as goldsmiths we make very sure to stamp our jewelry with name and correct carat. How Expensive is Gold exactly? Gold is expensive, that is a matter of fact, but to put it into perspective, I can tell you that 14 carat gold is roughly twenty times as expensive as silver. These gold prices are ever changing in relation to the World Market and the world situation. 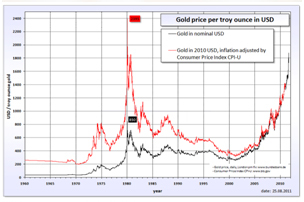 In earlier days, gold provided a guarantee for the value of money – and theoretically it still does. One assumes that 50 % of the gold in the world is used for jewelry, 40 % for in-vestments (this gold you find in gold bars stacked around the world in national banks) and 10 % for the industries. At the moment, gold is very expensive. As a consequence of the recession, people place their money in “safe” values instead of “unsafe” shares. People trust in gold and therefore the price of gold has risen since 2008. In September this year, the gold prices reached their all time high. Why does a PC want gold? 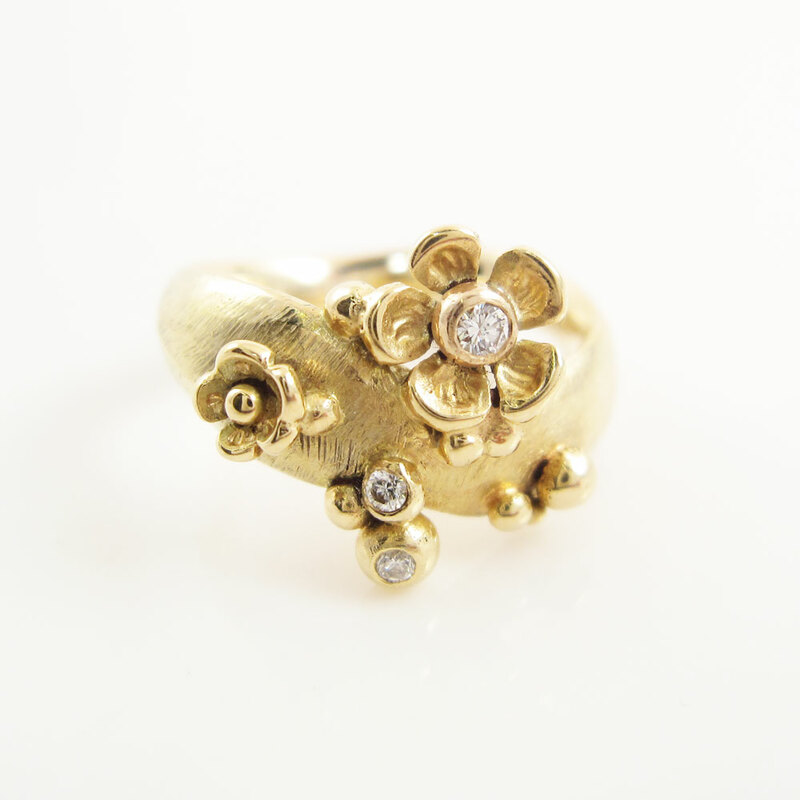 We like gold in the shape of jewelry – and due to aesthetic reasons. However, what makes gold special is its ability to effectively lead heat and electricity and not corrode. Gold simply does not change. 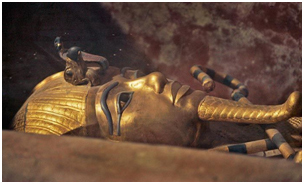 Even after thousands of years, it still shines as beautifully as the day it was forged into a piece of jewelry. 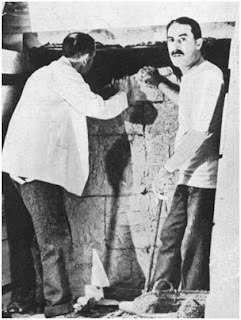 Imagine archaeologist Howard Carter’s reaction in 1922, when he pushed a candle through a narrow opening in a sealed door, and here found Tutankhamon’s golden treasures in the scorching Valley of the Kings in Egypt. Because gold has this ability to stay completely clean, as well as being a superior conductor, it is often used for surfaces and cables in the electronic industry. Unlike lead, gold is not toxic. 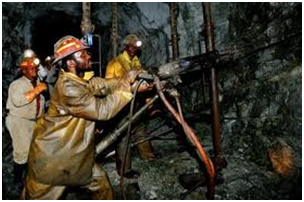 Unfortunately one of the most common ways to mine gold is very toxic. A lot of goldmines extract gold from rocks by crushing the rocks and rinsing them with cyanide. The cyanide dissolves the gold, which is thus extracted by this toxic fluid. Considering the above, buying gold has suddenly lost a bit of its shine. Luckily, you do not have to wear gold from such mines. There are, in fact, other more sufficient and sustainable ways to extract gold – and gold that is already extracted can be recycled again and again. When a goldsmith works, waste is created – often in the shape of little pieces of metal that has been filed off from a larger piece of gold. These scrap pieces are then sent off for refinement, where its rinsed, melted and recast, to be sold again to me at my providers. 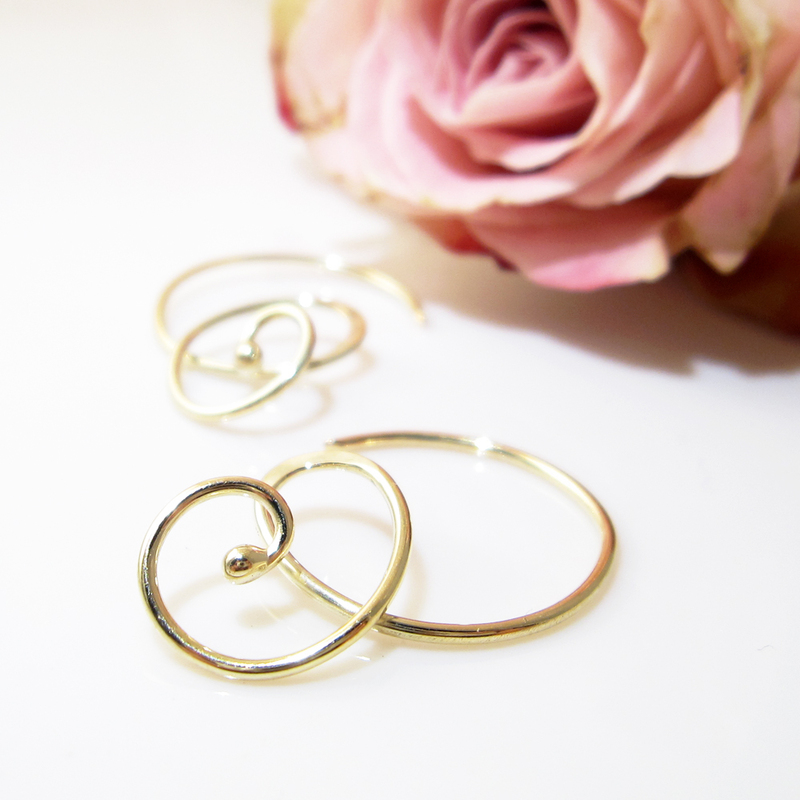 However, I never send off my gold for refinement, since I always reuse my scrap gold for new jewelry. 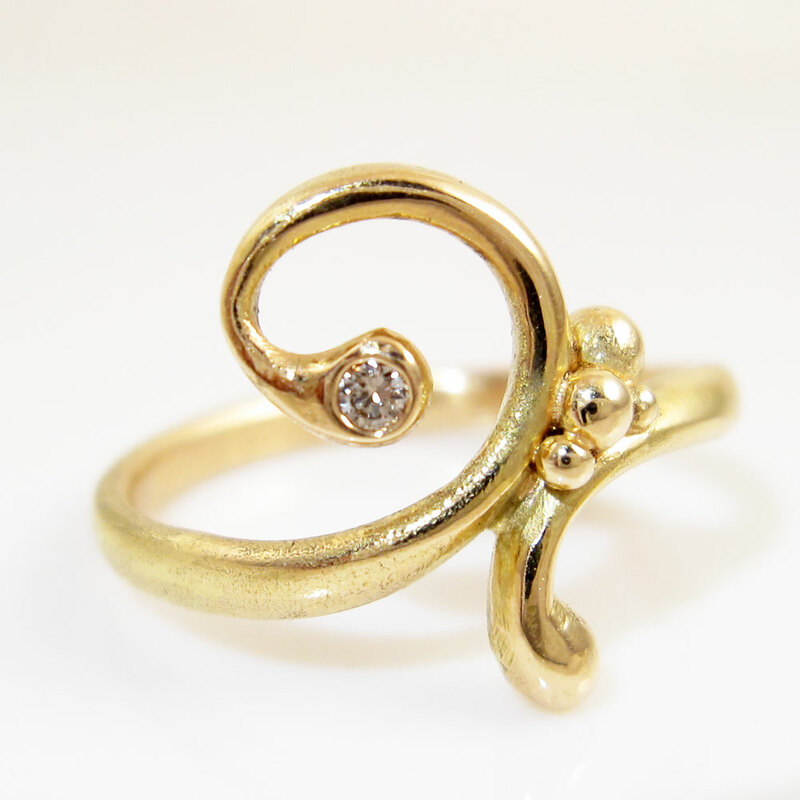 Likewise, if you have gold that you want transformed into new jewelry, I can create a brand new piece from your old gold. I either cast the shape directly in sand, or else in a thick sheet or stick that I mill thinner or pull down in order to create wire. Sometimes it is too expensive to have a piece of jewelry made of pure gold. Fortunately, there are other methods to obtain the beautiful and warm look of gold. You can for instance electroplate your jewelry with a thin layer of gold. However, eventually this layer – especially when it comes to rings – will wear off. The process can then be repeated as long as the piece does not feature delicate stones such as opals, pearls, corals etc. You can also gild jewelry by using a technique called keum-boo, where you merge gold foil onto the jewelry and a while ago, I tried this technique with a very good result. 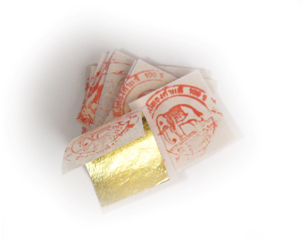 Furthermore, there is also gold leaf – the thinnest and finest material after silk thread. 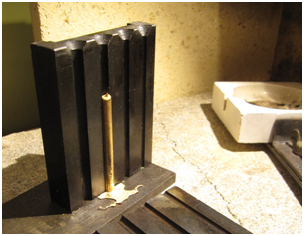 To illustrate just HOW thin it is: If you take a little piece of gold with a diameter of 5 mm and hammer it until it gets flat, it will measure 0,5 square feet. It is so lightweight that you have to turn your head when exhaling in order not to blow it away. 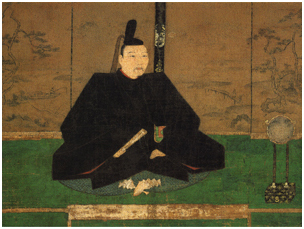 By the way - It is said that the rich Shoguns of ancient Japan sometimes committed suicide by inhaling gold leaf. The gold leaf covered the insides of the lounges strangling the person from within. Well THAT is a stylish way to end your life, if you have set your mind to so! Now you are a lot wiser about gold or aurum - number 79 of the Periodic System… For the geeky reader of this newsletter, you can read more on gold and its physical and chemical properties and also its significance for the world economy here. If you are more interested in the jewelry, come see other pieces in the gallery – not least of Signe Njust, who is our resident gold expert.